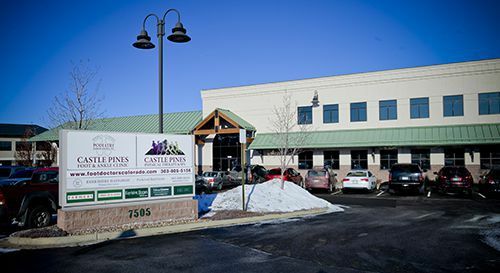 Directions to the Castle Pines Podiatry Associates Office | Podiatry Associates, P.C. We are committed to helping Colorado residents receive the foot care they need. If you suffer from foot pain, or a foot or ankle injury in Castle Pines, we can help you get the treatment and relief you deserve so that you can get back to enjoying your favorite activities again. 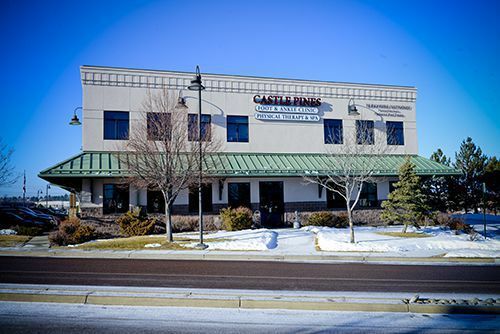 Our Castle Pines facility is equipped to give your feet the attention they need. 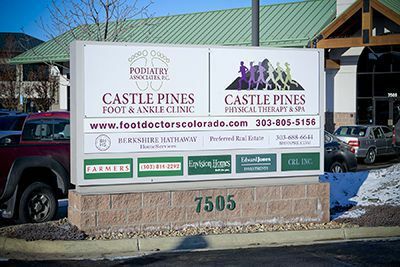 Stop by and visit our Castle Pines podiatrist office today for more information! Monday 7:30 a.m. – 7:30 p.m.
Tuesday 7:30 a.m. – 7:30 p.m.
Wednesday 7:30 a.m. – 7:30 p.m.
Thursday 7:30 a.m. – 7:30 p.m.
Saturday 8:00 a.m. – 3:30 p.m.